Born Christina Mattison Ebert, Mayim Eliana officially embraced Judaism in May 2011. Since beginning the conversion process Mayim has combined her heartfelt commitment to Judaism with her deep passion for the arts. 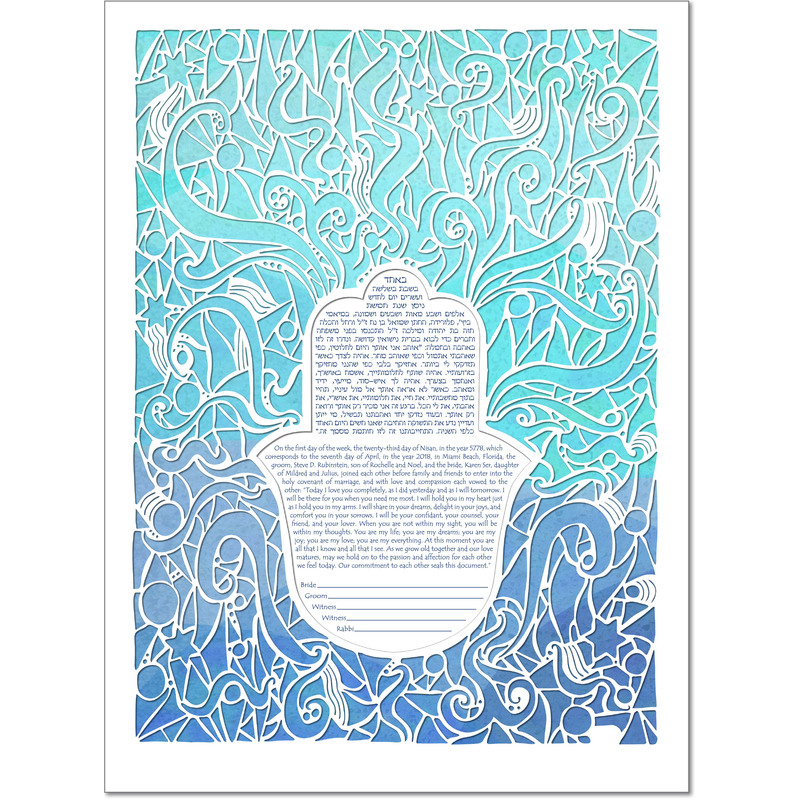 Inspired by her own engagement to Rabbi Marshal Klaven, Mayim began to develop ketubah designs. In addition to her lifelong involvement with the arts, Mayim’s academic and professional interests have included science, healthcare and business. She received her MBA from Loyola University Maryland in May 2011 and aspires to start a nonprofit community service organization providing art programs to underprivileged populations. Mayim is currently focused on finding meaningful, challenging assignments in illustration, drawing and painting. Her style is typically modern and colorful, using bold designs to communicate emotion and meaning. 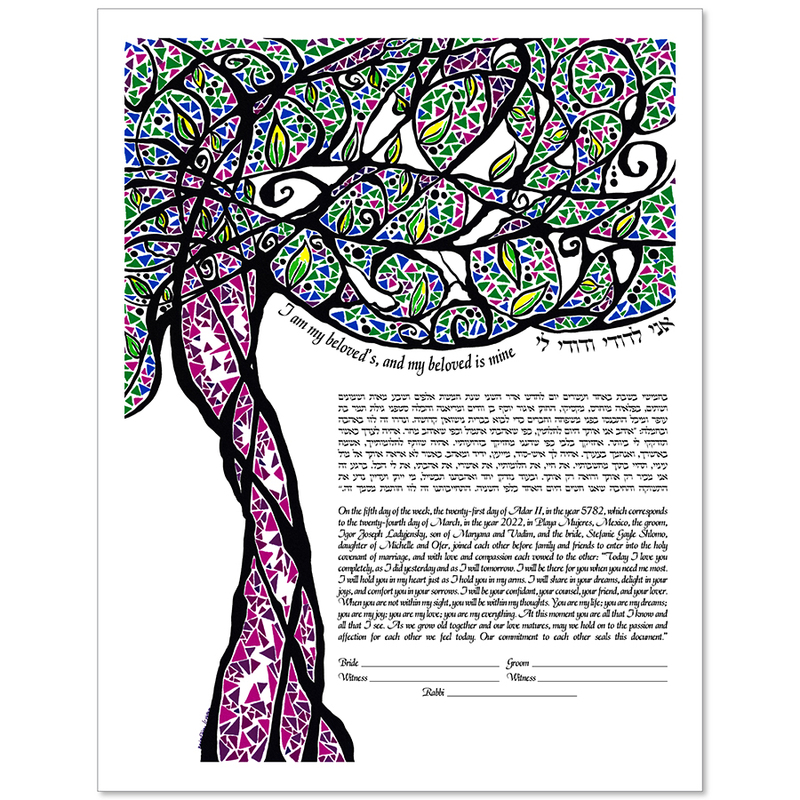 She feels honored to have the opportunity to create ketubah designs that will become an important part of couples’ weddings, homes and lives.